Lionheart and Up North: The Nigeria Nollywood doesn't show you. Nollywood, Nigeria’s film industry, is famous for stereotypes. You can nearly always predict how a movie’s plot will unfold based on the gender or ethnicity of the protagonists. The Yoruba woman is most likely involved in some juju or black magic antics, the Hausa man will be put in charge of the gate, and the Igbo man’s business will crumble once his container sinks at sea. These stereotypes are partly a product of a profound misunderstanding and mistrust among Nigeria’s many tribes. Tribal relations failed to fully heal after an unfortunate civil war in the late 1960s, and today, certain parts of the country still suffer from violent flashpoints with tribal inclinations. As oversimplified beliefs echoed by the film industry further feed these existing sentiments, accurate ethnic representation is essential in a country as diverse as Nigeria. “There’s barely any representation in Nollywood,” opines Grace Ekpenyong, a researcher in Lagos. She dislikes how the industry portrays people from her state—Akwa-Ibom. “Almost every Nigerian movie you watch has a village maid that is Ibibio or Efik. What about those that aren’t maids? What about other parts of our culture?” she asks. Stereotypes often have an element of truth, but Ekpenyong argues that they limit a group of people to a single definition. “I’m not saying we don’t have a lot of uneducated maids from my state. Of course, they exist. I’m saying that’s not the only story to tell out of Akwa-Ibom. It is unfair to repeatedly illustrate that as the role for our characters in movies,” she adds. Things may be changing. Dotted across the last decade, you can find a generation of Nigerian filmmakers focused on producing better-quality films and crucially, more representative films. There is no better sign of this shift than the selection of films that graced local cinemas in December 2018. Filmgoers were spoilt for choice as Lionheart, Chief Daddy, Up North, and others flooded screens across the country, grossing millions of naira within a few weeks of their release dates, and Lionheart standing as Nigeria’s first Netflix original. These films deliberately showed less-represented elements of different Nigerian cultures and broke away from previous film clichés. Up North, an epic drama filmed in Bauchi State has made waves for portraying Northern Nigeria in a different light. The film shows viewers some of the scenery in the North like the Emir's palace, and even allows the vicarious experience of the famous Durbar festival. Editi Effiong, Up North producer and CEO Anakle films explained that the movie was created with the intention of showing the splendour of the region. 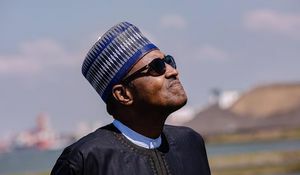 “I thought, how can I show the country to the rest of the country? Nigerians don’t travel; we don’t understand each other. I have been tweeting and writing about Nigeria for long, nobody cares. So, I figured film is much more powerful. That’s why I went for it,” he tells me. Deeply moved by the kindness of his poor Northern host, he resolved to write the script for Up North on the spot. Zuwailani Abdulmalik, a personal assistant in Abuja, believes the film provided a much-needed perspective of Islam and Northern Nigerian; one that had been missing in Nollywood. “When one of the characters was not allowed to run with the other girls for the school team, I thought it was going to be on the prevailing belief that girls in the North must be hidden. It was refreshing to see something else—that she could not participate based on something that wasn’t religious or cultural,” she says. 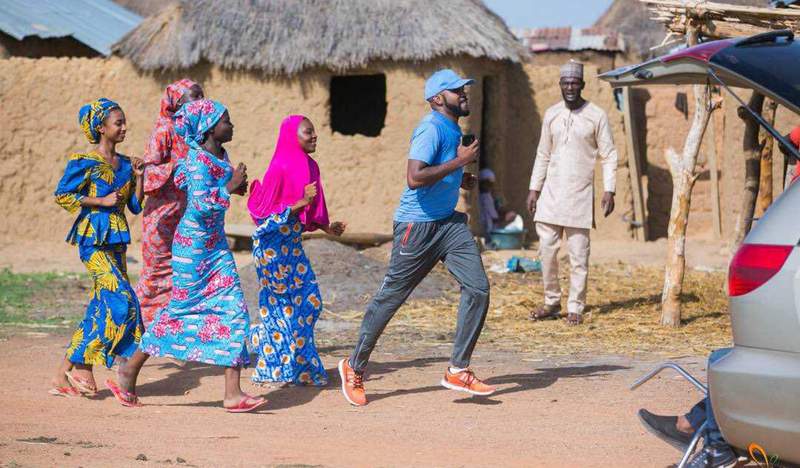 While the plot of the film underwhelmed Abdulmalik, she is happy that it showed the parts of Bauchi State that people don’t often get to see. Like Up North, Lionheart, Nollywood’s first Netflix original film has sparked conversations on representation, particularly for the Igbo culture. Through Adaeze Obiagu, the head of logistics at Lionheart transport (Adaeze is played by Genevieve Nnaji, a Nollywood veteran and Executive Producer of Lionheart), we get to see parts of the eastern Enugu State and experience the rich Igbo language, music and food as we follow the exploits of the Obiagu’s family. C.J. Obassi, an award-winning filmmaker and the co-writer of Lionheart, explains how deliberate the team was about infusing Igbo culture into the story. “There was already a written script when I came into the picture. The entire script was in English.” At that point, Genevieve Nnaji was so particular about that authentic Igbo touch that she asked him to rewrite the story. “One of the things I did was tear down anything that reeked of stereotypes. We were going to work with a lot of the older Nollywood actors like Nkem Owoh and Pete Edochie, and we didn’t want to thrust them into what people had seen them doing or saying before. We didn’t want the usual scenes where you see the brother fighting the brother, or the uncle fighting the niece. We didn’t want the ‘expected’ unintelligent conversations. We wanted to break all that,” he says. Obassi’s fervour is understandable as Nkem Owoh and Pete Edochie are two of Nollywood’s most recognisable characters. While the former is known for his Johnny-just-come image immortalised in Osufia in London, the latter is considered the patron saint of old-age wisdom and obscure proverbs. In Lionheart, both characters stepped out of their usual role. Crucially, the film also made some effort to show how Nigeria’s many tribes can live and work together. In one particularly powerful scene, Ernest Obiagu (Pete Edochie) and Alhaji Maikano (Sani Muazu) are seen conversing in the Hausa language. It was a rare and beautiful fusion between the Igbo and Hausa culture. “People think that because Nigeria is diverse, it should be a film about Hausas vs Igbos. But we wanted to dangle that in people’s faces, so you think that’s what is going to happen but you get something different,” he comments. “But the truth is a lot of Igbos live with Hausas, a lot of them do business together,” he ends. Frank Ugo, an Igbo-speaking film enthusiast in Lagos State, confirms that Lionheart did exactly what Obassi hoped it would do. “I have always felt weird about the lack of unique Igbo content in the industry, but this did a good job in inserting our music and our culture,” he says. 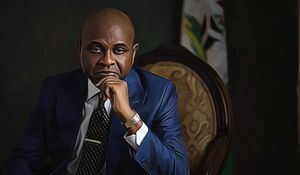 In conversation with Kingsley Moghalu: Nigeria's first technocrat President?